BUY CYPRUS INVESTMENT PROPERTY IN 2019! Cyprus is one of the top property destinations for foreign Investor buyers and also the leading EU country for High Net Worth Immigration for the Cyprus Residence Permit Programme (Golden Visa) or the Cyprus Investment Programme. Recently, High Net Worth Individuals have made numerous applications for foreign direct investment in Cyprus. 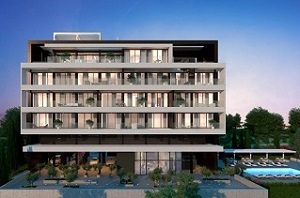 Foreigners are continually buying property in Cyprus, which is attributed to many factors, including: the low cost of living, the high quality lifestyle, the favorable policy to obtain permanent residence through the acquisition of real estate and Cyprus is one of the leading destinations for retirement. In 2019, there has been an increasing demand for purchase of Cyprus properties and market activity has caused local property values to show a steady and at times sharp appreciation, but this trend has reduced. Good properties are still in abundance, and local property prices are still much lower than those of other European countries, such as France, Portugal and Spain. Moreover, Cyprus properties offer excellent value for money. We work with specialised Cyprus Lawyers, working at a reputable Cyprus Law firm, who are registered with the Registry of Service Providers of the Cyprus Investment Programme, and adhere strictly to the provisions of the Code of Conduct, effective from June 2018. The legal system in Cyprus is mainly based on the British equivalent and safeguards the purchaserâ€™s rights in many ways. For the purchaserâ€™s protection, once the agreement of property sale has been signed and a deposit paid, the Land Registry in Cyprus provides a simple and effective legal instrument called the â€œSpecific Performanceâ€�. This procedure protects the purchaserâ€™s ownership rights until the title deeds are issued and transferred to their name. The contract in the hands of the Land Registry cannot be withdrawn by anyone; and therefore the property cannot be leased, sold, transferred or mortgaged. This status can only be altered by the purchaser himself. The purchaser will be liable to pay the following transfer fees for the property acquired, when this is registered in his/her name at the Land Registry Office. The fees are charged on the propertyâ€™s market value at the date of purchase. 1.Transactions that are subject to VAT - Exemption from transfer fees. VAT is charged at the standard rate of 19% where a reduced rate of VAT (5%) has been introduced for properties purchased by permanent residents of Cyprus, provided that the property will be used as the main residence of the purchaser for a minimum of 10 years. 2.Transactions not subject to VAT - The legislation provides for an exemption of 50% of the transfer fees. This applies to transactions where transfer fees apply or are due and the transfer relates to plots of land, buildings or interests in land or indivisible interests that are sold for the ï¬�rst time from the date of issue of the relevant building permit and the relevant contract is prepared and submitted for the ï¬�rst time to the local District Land Registry during the period of application of the law. 1. Cyprus Immovable Property Tax - Immovable Property Tax was abolished as from 1 January 2017. Until tax year 2016, the owner of immovable property situated in Cyprus was liable to pay an annual IPT which is calculated on the market value of the property as at 1 January 1980, at varying rates, which apply per owner and not per property. 2. Capital Gains Tax - Capital Gains Tax is levied at 20% on gains arising from the disposal of property by each individual person. The gain is reduced by an indexation allowance that takes into account the inflationery increase over the years the property was owned. Non-residents are only taxed when selling property situated in Cyprus. 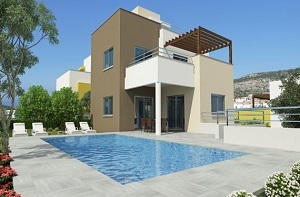 The first â‚¬17,086 of gains arising from the first disposal of any property in Cyprus. The first â‚¬85,430 of gains arising from the disposal of a house used by the owner for his/her own habitation. This allowance can only be claimed once. An individual claiming a combination of the above allowances in only allowed a maximum allowance of â‚¬85,430. 4. Local Authority Tax - Property taxes levied by the local authorities are payable annually and may vary, depending on the size of the property. The tax covers the cost of garbage disposal, street lighting, etc. 5. Communal Expenses - Communal expenses cover an ownerâ€™s share towards the cost of cleaning and maintaining a projectâ€™s communal areas, gardens, swimming pool, management fees and repairs. These are payable at fixed intervals throughout the year and vary from development to development and from property to property. 6. Corporate Tax - Low corporate income tax rate of 12.5%, EU & OECD Compliant. 7. Non-Domiciled Individuals - No tax on dividends, interest and rental income of non-domiciled individuals. 8. 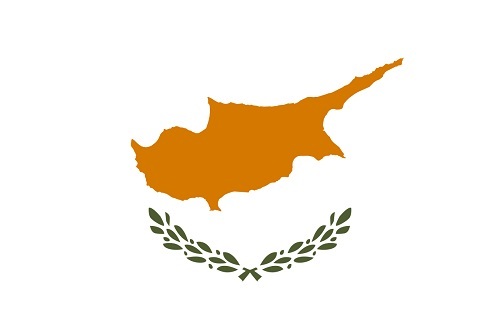 Foreign Income - Foreign tax relief on income subject to both Cypriot and overseas tax. In addition, there is an exemption on profits of foreign permanent establishments (subject to conditions).